The jaguar is the largest and most powerful wild cat in the Western Hemisphere. The jaguar is larger than the leopard. It has a massive head, and long thick legs. The jaguar's hindlimbs are longer than its forelimbs to improve jumping. The jaguar stands about three feet high at the shoulder, and it weighs up to 300 pounds when full grown. The largest known population exists in the Amazon rain forests. They are good hunters that can attack and kill its prey for food. They are also pretty great swimmers and kill their prey with a bite in the neck. Human are the main reason why they are becoming extinct. They like to hunt for them as a sport for their fur and farmers like them for their cattle. 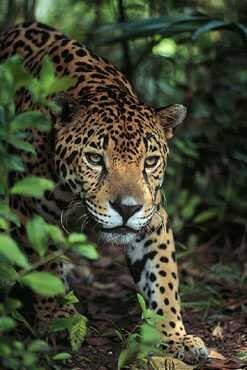 The jaguar is a beautiful animal that needs protection and conservation so they don’t become extinct . The Federal Endangerment Species Act prohibits the importation and sale of these furs in the United States. 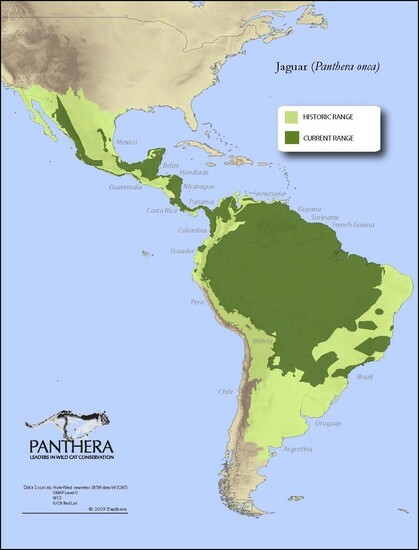 In addition, special laws that protect certain North American species are enforced in the United States and in Canada, and wildlife refuges have been set up for the purpose of protecting the jaguar. 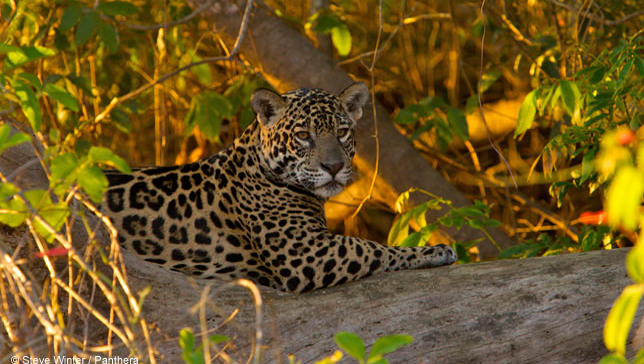 Jaguars are threathed by illegal hunting, deforestation and loss of wild prey.